In celebration of the club having played 1000 ​Premier League matches, a vote was opened for supporters to decide which players would make it into their dream XI from the modern era. 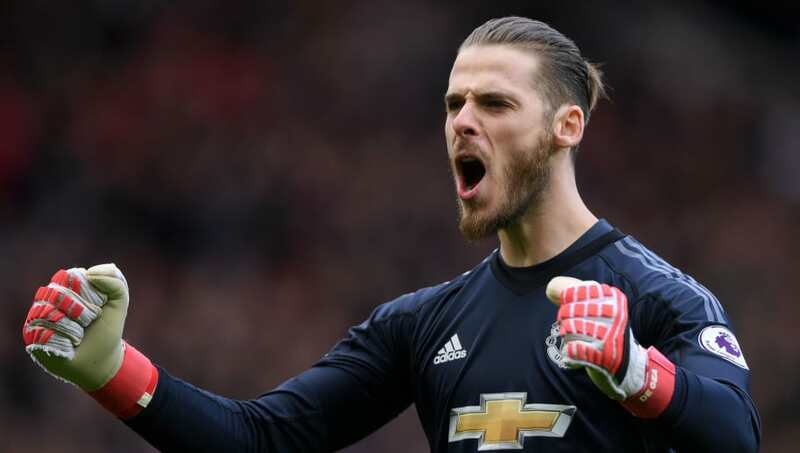 David De Gea is the only member of the current team to make the cut, perhaps surprisingly beating United legend Peter Schmeichel to be named their best number 1 of the Premier League era. The defence is dominated by those who played in Manchester United's double-winning 2007/08 season, believed by many to be the club's greatest team of the 21st century. Nemanja Vidic, Rio Ferdinand and Patrice Evra all played in the 2008 Champions League final victory over ​Chelsea. Gary Neville completes the back line. He missed the double-winning season through injury but was a one-club man for the duration of his career, making over 600 appearances for United. The midfield is again dominated by members of that illustrious team and largely picks itself, with Ryan Giggs, Paul Scholes and Cristiano Ronaldo all included. They're joined by Roy Keane, the fearsome midfielder who left Old Trafford in 2005. The only member of the XI not to play for United in the 21st century is French striker Eric Cantona. He's joined up front by Wayne Rooney, who in 2017 surpassed Sir Bobby Charlton to become the club's all-time record goalscorer. Even for a team voted on by supporters there was some disagreement, with Denis Irwin and Ruud van Nistelrooy among those to miss out. However, there can be no denying that it's a special lineup which reflects the club's amazing Premier League heritage.